©Amandine Colin / MSF This 38-years old patient is admitted to the hospital for the second time. Suffering from tuberculosis, he was not following properly his treatment. With those patients, efforts are made to reinforce patient support and counselling to help them deal with the treatment. This is done with the help of our counsellor team. ©Amandine Colin / MSF Dr Tor Deng starts his day with the medical meeting at 8 am, to handover the patients after the night and discuss the cases. With the doctors and clinical officers, they discuss the clinical aspects of any patients, especially if there are new arrivals. 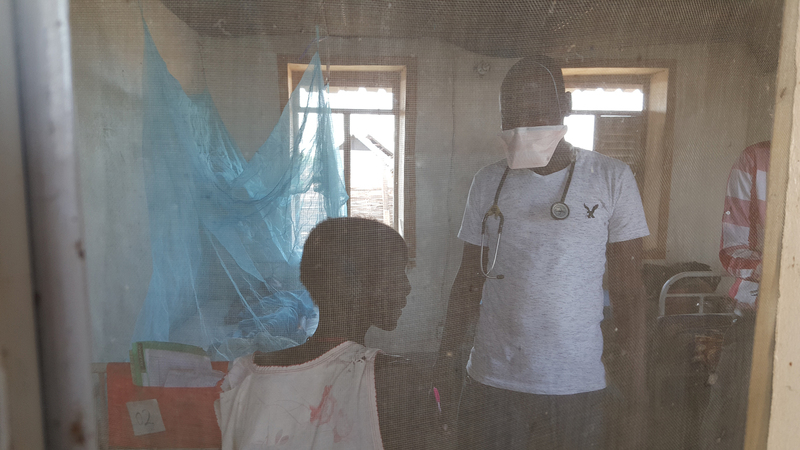 Dr. Tor Deng is a general practitioner working for MSF in Abyei, a region with special administrative status between Sudan and South Sudan. After graduating from medical school in Khartoum, he decided to come back to Abyei, his home region. 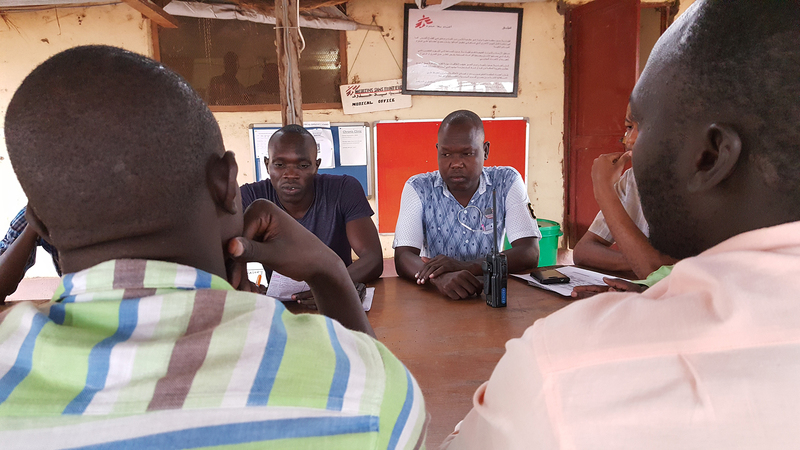 He shares some of the challenges and successes of the HIV/TB programme run by MSF in Agok Hospital. I joined MSF in January 2016, following my graduation from medical school. Doing so allowed me to be more involved in helping my people in Abyei, where I’m originally from. 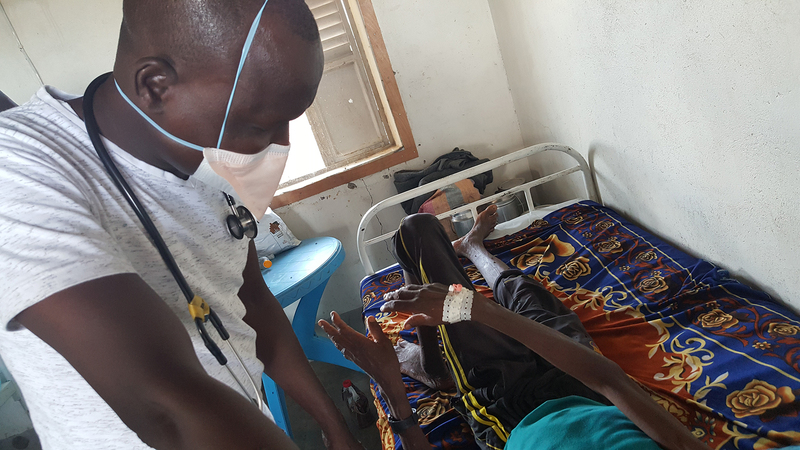 When you work for MSF, with the resources and expertise they have at their disposal, you feel that you can really have an impact on your patients. Furthermore, most of the people in the community rely on MSF for healthcare. By joining MSF, I knew that I could help my community, and that I could save lives. After spending a short while in the emergency and inpatient departments, I joined the infectious disease unit, focusing mainly on HIV and tuberculosis (TB). Both HIV and TB present significant challenges for the community here. One of the underlying reasons for the high prevalence of TB, in particular, is a general lack of awareness about the disease. Part of our role, therefore, is to help patients and their families understand what these diseases are, how they spread, how they can be prevented and how they can live with them. Most of our patients don’t believe it’s possible that they could be infected with TB. They think it’s a disease that only runs in certain families, so they’ll tell us, “It is impossible that I have this disease, it is not in our family.” It requires a lot of time and counselling before some patients agree to take medication. Even then, it’s only when they start feeling better that they finally acknowledge that we were right. Some people, however, never come back to the hospital after the diagnosis. They simply believe we were wrong. They don’t understand how important it is to receive treatment, or they are afraid of the stigma. Once patients have been stabilised and are discharged from the hospital, I provide follow-up care. As they come in to get their treatment, we’ll discuss the side effects of the drugs, how they feel about it, how they are taking their medication and any other issues. We’ll also do family counselling to help address issues that could impact the rest of the family unit. Additionally, we test for malnutrition to determine whether there is a need for nutritional support. It’s essential to discuss all these points to ensure that patients stick to their prescribed treatment plan. While both HIV and TB require long-term treatment, they also present the difficult task of dealing with strongly negative stigmas. As a medical doctor, I find myself not only treating patients in a strict medical sense, but also playing a part in community awareness to address some of these long-held stigmas. We try to help chronic patients balance the need for family support versus reluctance to disclose their status. For example, family members can play an important role in reminding patients to take their medication or ensuring that they go for follow-up visits. At the same time, patients themselves often don’t want their families to know that they are HIV or TB positive out of fear of being abandoned. We of course always respect patients’ autonomy and accompany them in their fight against HIV/TB, regardless if they disclose their status or not. Regardless of the stigma, we explain to the patients the advantages that disclosing their status would represent in terms of support from their close ones which can positively impact adherence to treatment. Of course I also have many happy stories. Sometimes, when patients come for follow-up visits, I don’t even recognize them because they’ve gained so much weight and look much healthier than before. We had a patient in 2015 who was very sick with HIV. Two years later, he’s much better and he just got married. For those like him that were extremely weak when they were admitted to our hospital, the transformation really is incredible. They come back after a month or two, and they look great. They look happy. And when I see their smiling faces, I feel really good about my job.